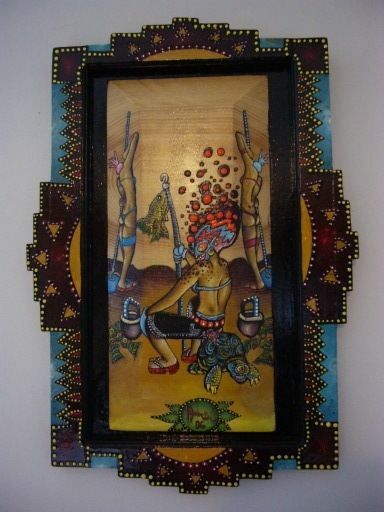 2006 this piece is a fun one...fondle friendly touchable textures on a raised panel...hand made frame with a sante fe style fully painted frame. I used to imagine fishing in the desert in holes much like ice fishing. The females ...expand text.